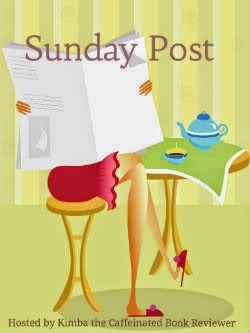 The Sunday Post is a weekly meme hosted by Kimba @ Caffeinated Book Reviewer. This week I thought I would use the Sunday post to recap the month of January. I have done a lot this month. I started off the year with Bout of Books, a week long read-a-thon. That was so much fun. You can see my recap here. This month was a really good month for me, reading wise. I read a total of 22 novels and 3 comics. Woah! I had some great discussion posts. Looking at these, I am surprised I only did two discussion posts this month. So including more of those will be a goal for February. But there is something to be said for quality over quantity. These discussions were good ones. To Rate or not to Rate? How Necessary are Negative Reviews? I received the Sisterhood of the World Bloggers Award from Lisa at Captivated Reader. And I discussed my TBR pile in this TBR tag. Hands down, the award for cutest post of the month (and probably the year) is this one of my dog. Yes, she loves to read just as much as I do! There were a couple great Top Ten Lists. I have written a whopping total of 17 reviews this month. 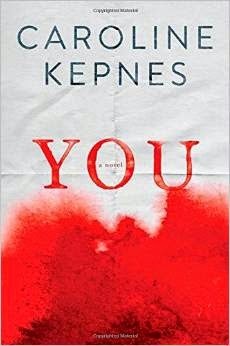 The most popular review was for You: A Novel by Carolina Kepnes. I'm glad that one was so popular because that is one of my favorite books this year! Looks like I am getting better at picking out books that I like. I read a lot of great books this month! As you can see, there were only four out of twenty-five books that received low reviews. New To You Challenge: 11/48 . . . I am doing a lot better on picking authors I have never read before. What does it mean to be well read? reviews for Above Us Only Sky, Positively Beautiful, I'll Meet You There, Find Me, The Walls Around Us, and more! Thanks Melanie. Great job to you also!! Wow you read a lot of books. I checked my stats earlier and only read 9! That is the least I have read in a long time but I read a few that I wasn't really into and they just slowed me down. I'm hoping Feb is a better month! Trish, 9 is still a great number! Happy reading for February! Ps. i hadn't seen you were from Naples!! I loved All The Bright Places so much. When I DNF :/ I just couldn't get into it! Happy Reading. Love the pictures of your doggy so cute! Thanks Alisa! She is pretty adorable. Thanks Kimba. When I heard there was a sequel to You, I may have done a happy dance. Man, maybe I should listen to it too. I bet it's even more creepy. Great reading month! It looks like you have some interesting discussion posts mixed in and that's a great goal for February! I've thought about doing more discussion posts but it never quite happens. Have a great week! Great month, Cyn. I'm looking forward to reading You by Caroline Kepnes. So much interesting feedbacks regarding that book! I know it's going to be one of those either I'll truly love it, or hate it. Either way, I'm dying to read it. 25 books?!? HOW?!? Great job! I loved All the Bright Places. Darker YA contemporaries aren't quite my thing, but I can't deny that All the Bright Places was so well written. Thanks Ana! I don't know what it is, but I love the books that make me sob my eyes out. Ha. I understand why some wouldn't like it as much, but I'm glad you could appreciate the writing. It was so beautiful. Thanks Anna! I hope February is a great month for you as well. oh wow! I'm in awe! That's a bunch of books read and reviewed! Kudos to you! You are starting off the new year with a bang. I think I've read around 20 books and reviewed them too. I need to update my reading challenges to know for sure. Have fun with this month! Thanks Laura! Sounds like you started off the new year with a bang as well. Hope you have a great February! Steph, I hope you get over your slump soon! But any books read is a great month. Great month - Cynthia. Hope your Feb reads are just as good. Oh I never told you I read All the Bright Places because of you and I cried my eyes out! Such a wonderful book and worth the buy. You dog is seriously the cutest. My dogs would probably lick, eat, or urinate on my books if I left them alone with them. I seriously want to do discussion posts but I'm really bad at them and I have so much reviews to write! You read even more them me - I'm impressed! And did so many reviews. I look forward to reading more in February. Have a fabulous day! Adriana, I am so glad that I could push you towards that book and that you enjoyed it! It was such a beautiful book. Ha, my dog is relatively well trained and she was supervised around my books. I have a feeling if I left her alone with the books she would use them as a chew toy. Maybe. :) Thanks for stopping by and I hope you have a great February! What an energetic start of year ! Congrats on all the work done - and your dog is so cute :) Have a great week ! WOAH you've had an epic reading and reviewing month Cynthia! So glad to hear you loved YOU, I'm waiting to pick it up very soon because I know I'll love it. Thanks Jeann! Oh I hope you love YOU as much as I did! It was so good. Happy reading. Ha, Claudia. Yeah I read and reviewed a LOT in January. Probably won't be as many next month. Musing Mondays - Is Fifty Shades of Grey Abuse? To Kill A Mockingbird Excitement! Musing Mondays - Audio books: Yay or Nay?